Friday 22nd December was the happiest day for the children of Shola Children’s Library. 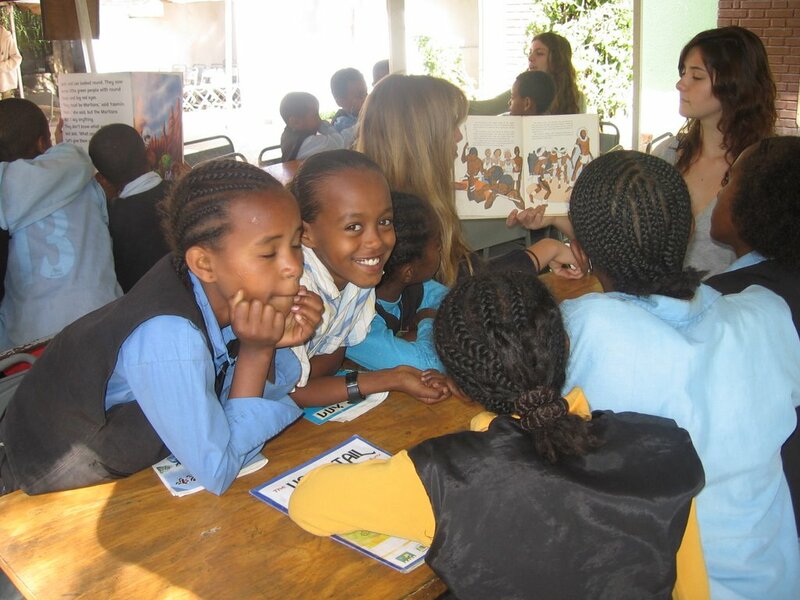 Students of the French American International School of San Francisco, who came to Ethiopia for humanitarian purposes, came to Shola Children’s Library to spend some time with the children in the library. Lena Yesowhich, Leland Kusmer, Jake Moritz Cary Jones, Drew Peltler, Gabriela de Golia, accompanied by their Elizabeth Cleere, parents and staff of their host organization, Save the Children U.S.A, visited Shola Children’s Library and spent 2 hours with the children. 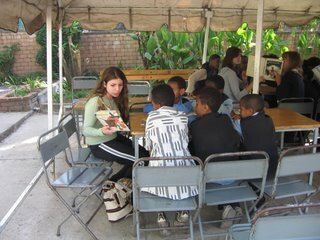 The volunteers participated in different activities, such as reading storybooks, singing songs and playing games with the children. One of the volunteers, Gabriela de Golia, gave art class for eight children for an hour and half. Volunteers also helped with book sorting. More photos of the students working in the library can be seen on our photo album. Click on the small photo album icon to see our galleries of photos!